Codeine can be a highly addictive substance and provides the user with an overall sense of calm and feeling of pleasure. Although most individuals use codeine for legitimate medical purposes, prolonged use over time can lead to addiction and the need for rehab. This is not uncommon and help with codeine addiction is needed. After any lengthy use, an individual develops a tolerance for this substance and feels the need to take more and more of the drug in order to feel the effects. Friends and family can soon see the pattern and start to look for rehab help with codeine addiction help. The addiction can become apparent when after a short time without the drug people begin to feel symptoms of withdrawal. This can occur and is normally quiet noticeable after just a short time without using the substance. 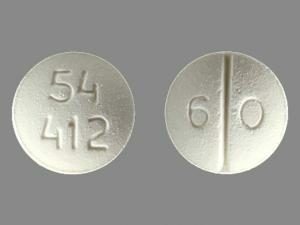 Codeine is an opiate drug, used to treat mild to moderate pain. It is available either from doctors as a prescription only medicine or, directly from a pharmacy combined in lower doses with aspirin, ibuprofen or paracetamol. It is used to treat pain that does not respond to simple painkillers. Someone who takes the combination painkillers containing codeine at higher than recommended doses in order to get a stronger codeine effect, can easily consume doses of aspirin, ibuprofen or paracetamol that could be fatal. Feelings of warmth and well-being, calm, relaxation, and sleepiness. Nausea, vomiting, constipation, loss of appetite, drowsiness, confusion, sweating, itching, dry mouth, mood swings and feeling of lethargy. What are the risks of taking codeine? Codeine can lower blood pressure and can suppress normal breathing, and so can increase the risk of respiratory arrest (when you stop breathing altogether). There is more risk of overdose and death of you are mixing too much codeine with other drugs that suppress breathing such as alcohol, benzodiazepines like diazepam (valium), or other opiate drugs. When a higher than the recommended dose of codeine is taken in a tablet combined with another type of painkiller (commonly paracetamol, aspirin or ibuprofen), there is a real risk of experiencing the side-effects of these other drugs. And whilst these other drugs may seem harmless in normal doses, they can cause really serious problems in overdose- with risks of kidney failure, liver failure, and of indigestion or bleeding from the stomach, which can be fatal. As with other opiates, taking very high doses of codeine during pregnancy may lead to withdrawal symptoms in newborn babies. have, give away or sell. Codeine on its own is only available on prescription, unauthorised possession can get you up to five years in jail and an unlimited fine. Supplying someone else, including your friends, can get you up to 14 years and an unlimited fine. A small amount of codeine is in some medicines which can be bought without prescription but only in pharmacies. These medicines include cough syrups and tablets or capsules where the codeine is combined with other medicines, such as paracetamol, ibuprofen or aspirin, for treating headaches, period pain etc. Codeine-containing medicines carry warning on the packs about the risk of addiction and advice that the non-prescription medicines should only be used for up to three days at a time without medical advice.